There is a misconception that your abdominals are separated into upper abs and lower abs (around your belly button). 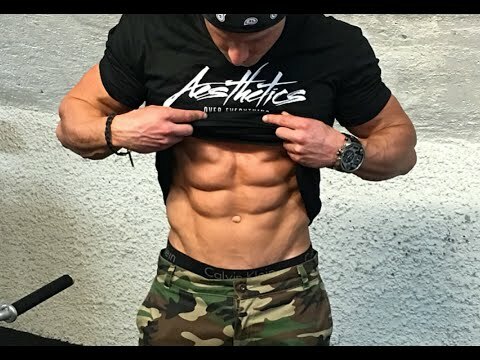 The Rectus Abdominus, your six pack muscle originates on the ribs and connects at the hips. It is one muscle that flexes your core. Below that is your Transverse abdominus. It runs horizontal across your core and works like a weight belt to stabilize your mid section. Along with the rectus and the transverse abdominus are the obliques. They are involved in rotating and stabilizing the hips. It's important when your doing ab exercises to focus on strengthening the entire core muscles with a good mix of movements. The four movements in this video focus on all of our abdominal muscles. It’s important when your doing ab exercises to focus on strengthening the entire core muscles with a good mix of movements. The four movements in this video focus on all of our abdominal muscles. Thanks sarah, i have 4 kids and i am in great shape thanks to your video but my abs and back are ssuch a challenge. I just finished this work out and my core is sore. This was very helpful. I combined it with your last back workout. I was wondering if you could do a video on how to start doing pull ups. I can only do 3 and its so hard. I would like to know how to train my back and core for this excersise. I would like to use different varations of pull ups as a warm up. Flip a tire on the beach workout? Who would have thought that I would kill to have the abs of a woman who recently had a child.